Download the new and improved official FC Barcelona App and discover all the great new features for the ultimate Barça fan experience. With the brand new App you can get everything you need on your phone or tablet. Never miss out again on the latest FC Barcelona news, get live match updates, watch exclusive videos and much more from your favourite teams and players! ● Keep following your team through the summer with exclusive coverage of the transfer market so you can learn about the latest signing of FC Barcelona. Follow the team as they prepare for the next season and find out the schedule for the next friendly match or how they are performing in the International Champions Cup. 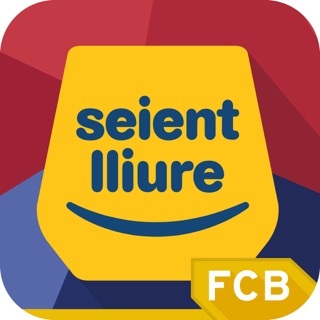 ● Access the FCB official store directly through the app. Find the official Nike kit for the 2018/2019 season, but also all the official Barcelona fan merchandise and the accessories you need to show your colours wherever you go. Be sure to learn about the next sales and promotions through the notification service! We are constantly updating our APP to improve it, please update it if you want to enjoy all its advantages. Thank you. No se anuncia el canal de tv donde retransmite el partido. Me encanta la App para estar informada pero con el equipo femenino no habéis dado ni una con los nombres y apellidos de las jugadoras, espero que lo arregléis.